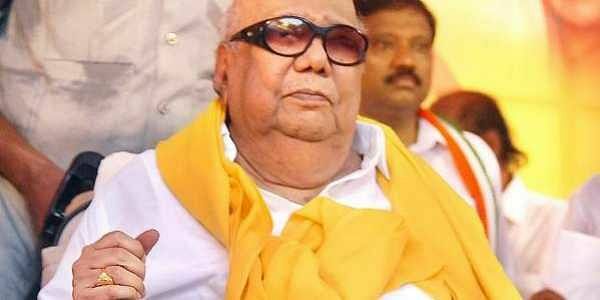 In 1999, the then Chief Minister, M Karunanidhi, launched ‘Uzhavar Sandhais’ across the state, where farmers directly sell vegetables to consumers. CHENNAI: Finance Minister Arun Jaitley has announced in his budget the setting up of “Gramin Agricultural Markets” where farmers can directly market their produce. But, for Tamil Nadu, it is an 18-year-old idea. In 1999, the then Chief Minister, M Karunanidhi, launched ‘Uzhavar Sandhais’ (farmers’ markets) across the state, where farmers directly sell vegetables to consumers. The Centre’s Thursday announcement in the budget may add to the list of schemes from Tamil Nadu, which were replicated by the Union government such as the mid-day meal scheme of former TN CM K Kamaraj or self-sufficiency scheme of another former CM MG Ramachandran. But the ‘Uzhavar Sandhais’ unfortunately lost steam after the regime change in 2001. But the DMK regime revived many of them in 2006. Again, after 2011, some sandhais were closed, but still a sizable number of them are functioning offering vegetables at much cheaper price than in the retail shops. KP Ramalingam, secretary, farmers wing, DMK, said that only farmers directly engaged in producing vegetables were allowed to put up a stall at Uzhavar Sandhai. The farmers were allowed to carry the luggage for free in the buses. He said that in recent year this concession was cut. He said that on June 17, 2016, as a member of the standing committee for the Finance department, at a meeting on budgetary proposals, he stressed the need for such markets where farmers can directly sell their produce and the idea was accepted by Arun Jaitley. T Chandran from Ponnavarai in Thanjavur district, was one of the farmers in the state still getting benefited from the Uzhavar Sandhais. But he said free transportation of vegetables by State-owned transport corporation buses had been stopped for the past six years. “The middlemen used to take 10 per cent commission in the past. Now, it is direct transaction between us and the customers. This way it is beneficial to the farmers,” Chandran added.